Dog Training Classroom Courses Curriculum - Establishment Dog Training, Ltd.
Click Here To See Basic Training In Action. Perfect on and off leash obedience and begin learning jumping skills. Click Here To See Intermediate Level One Training - In Action. Skills Taught: Agility, tricks and advanced obedience. Click Here To See Intermediate Level Two Training - In Action. Advanced agility, obedience and useful tricks. Click Here To See Intermediate Level Three Training - In Action. Success at the Intermediate Level qualifies your dog to enter our top advanced level of training known as the PiSquared Class (our "tongue in cheek" name for the "top advanced level"). This level has evolved into a "continuing education" course for those students who simply cannot get enough dog training. In other words, you can continue training with the same group of people for as long as you desire. There are always new things to learn and new challenges in every session. PiSquared Level members celebrate the Christmas season with an annual Pi Squared Christmas party (all PiSquared dogs are invited). They also participate in parades and exhibitions for schools and community associations to demonstrate their skills and illustrate the advantages and joys of sharing their lives with a "Canine Good Citizen". Click Here To See PiSquared Training In Action. Agility! Flyball! Rally! Obedience! Tricks! The Pi Square level is a continuing course. Handers can continue training for as long as they wish in increasingly challenging 8 week sessions. Agility! More obstacles including the teeter totter, dog walk, sway bridge, swing plank, hanging barrel and agility games. Put away your toys, ring the doorbell, close & open the door, roll over, get me a soda from the refrigerator, find the remote, get the newspaper and much more. Scent discrimination, directed jumping, directed retrieving, retrieve over obstacles, weave pole recall, tracking, scent hurdles and more. Rally, Flyball, brace and team work, and Canine Freestyle (dog dancing). Exhibition Work! Perform in parades and school and community events. Success at the Intermediate Level qualifies your dog to enter our top advanced level of training known as the PiSquared Class. 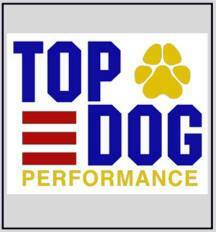 Our "tongue in cheek" name for the "top advanced level". This level has evolved into a "continuing education" course for those students who simply cannot get enough dog training. In other words, you can continue training with the same group of people for as long as you desire. There are always new things to learn and new challenges in every session.